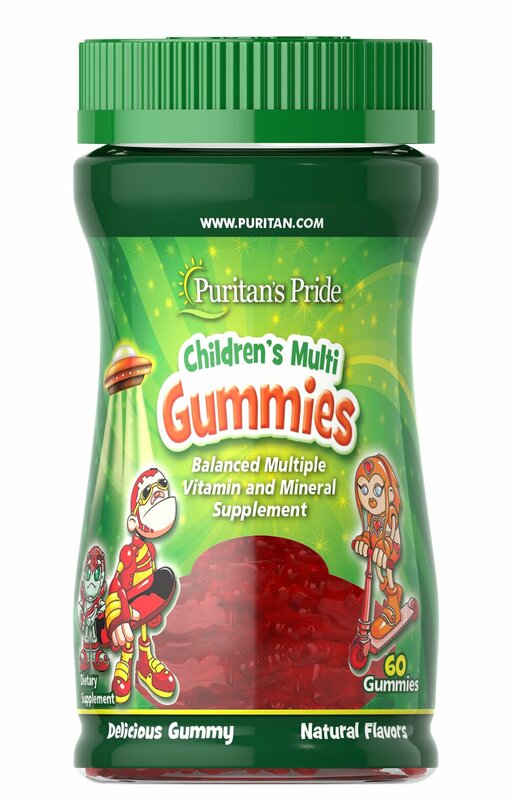 These multivitamins gummies may taste like candy, but rest assured that they're packed with essential vitamins and minerals necessary for your child's healthy growth and development. ** Included are Vitamin A for the eyes, Vitamin D for the bones, and Vitamins C and E, plus Zinc, for the immune system. ** These delicious chewable gummies will make vitamin time your child's favorite time! No Artificial Color, No Artificial Flavor, No Milk, No Lactose, No Gluten, No Wheat, No Yeast, No Fish.